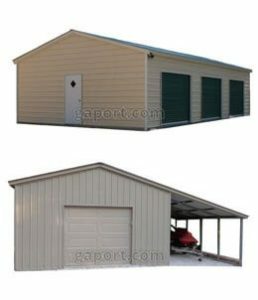 If you are looking for best RV storage buildings in Georgia, Explore Georgia Portable Buildings that have a verity of RV storage buildings for your needs. Building packages for residential RV storage buildings and erected commercial structures nationwide. Our RV storage systems are made of heavy commercial grade steel and are engineered to withstand the wind and snow loads of your location. Protect your RV investment with us.